Fortnite servers have gone down for weekly maintenance, and to prepare for the launch of update 3.6. Fortnite’s patch 3.6 adds the Clinger, a sticky grenade Epic has been teasing via the in-game news feed. The Clinger is available in both Battle Royale, and Save the World modes. The Clinger very much works like a regular sticky grenade in other games, and yes, you can stick it to your enemies. It can be found in regular floor loot, supply drops, supply llamas, and treasure chests. 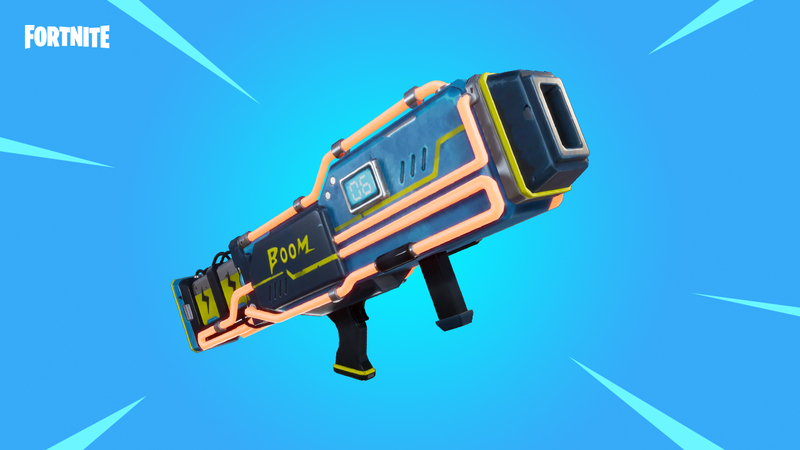 The other addition in patch 3.6 is the Noble Launcher, which is only available in Save the World. You can charge it up to shock enemies. Outside of new content, update 3.6 removed the ability to link your Twitch account through the game. This can still be done on Epic Games’ website. It also fixed an issue that caused metal doors to stop making a sound when closed. Further changes include an improvement to hit registration at range for sniper rifles and crossbows, and a reduction to Remote Explosives drop rates in Treasure Chests by 40%. Removed ammo visualisation from the HUD due to instances causing it to not reliably fit on screen.